1. Sharad Kumar Appointed Vigilance Commissioner In CVC. 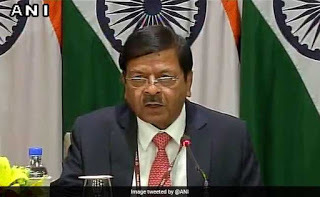 Former NIA chief Sharad Kumar was on June 10 appointed vigilance commissioner in the probity watchdog CVC, officials said. The 62-year-old Kumar, a 1979-batch IPS officer of the Haryana cadre, retired in September 2017 after heading the National Investigation Agency for over four years. 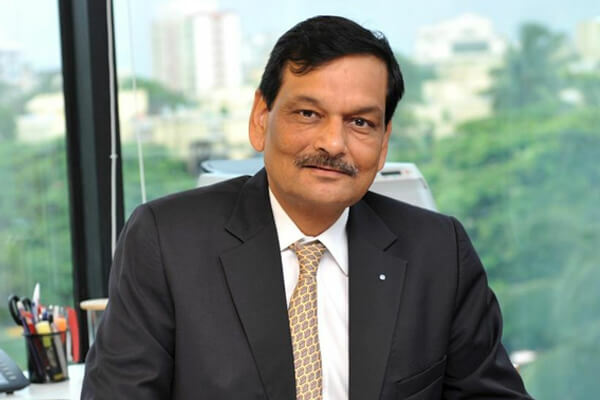 According to an official order, Mr. Kumar has been appointed vigilance commissioner in the Central Vigilance Commission for a term of four years or till he attains the age of 65. The post was lying vacant since February. According to the rules, Mr. Kumar’s tenure will come to an end in October 2020. The Commission comprises of a Central Vigilance Commissioner and two vigilance commissioners. At present, K.V. Chowdary is the CVC and T.M. Bhasin is the other vigilance commissioner. 2. Arvind Saxena Appointed As Acting UPSC Chairman. Union Public Service Commission member Arvind Saxena has been appointed as the acting chairman of the commission from 20 June, a government order said. Saxena, a 1978-batch Indian Postal Service officer, will take over the charge from incumbent Vinay Mittal who completes his term at the Union Public Service Commission (UPSC) on 19 June. A latest government order said Saxena will "perform the duties of the post of chairman, UPSC" with effect from 20 June till further orders or till completion of his tenure on 7 August, 2020. Saxena joined the UPSC in May, 2015 after he completed his stint in the Aviation Research Centre (ARC). The officer has also worked in the Research and Analysis Wing (RAW) after he joined it in 1988 and "specialised in the study of strategic developments in neighbouring countries". The UPSC conducts civil services examination annually in three stages—preliminary, main and interview—to select officers for the Indian Administrative Service (IAS), Indian Foreign Service (IFS) and the Indian Police Service (IPS), among others. 3. Veteran Journalist Adiraju Venkateswara Rao Passes Away. Senior journalist and writer Adiraju Venkateswara Rao passed away here. He was 79. Rao had not been keeping well for some time and the end came late last night, sources said. Rao, a native of Khammam district, worked in different Telugu and English newspapers. He also authored several books, the sources said. He played an active role in the separate Telangana agitation in 1969 and the state government honoured him during the Telangana formation day celebrations recently, a release from the Chief Minister’s office said. Condoling the death of Venkateswara Rao, Chief Minister K Chandrasekhar Rao recalled his services to achieve separate Telangana as well as in the fields of journalism and literature, it said.